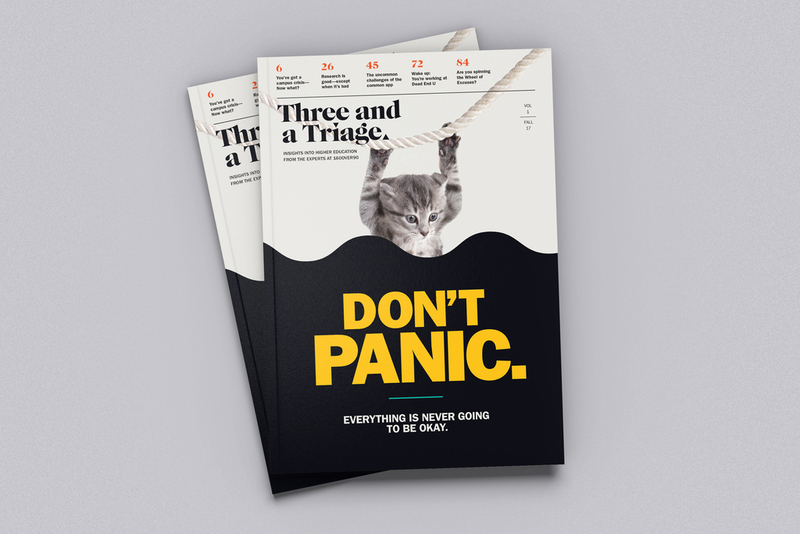 The following is an excerpt from our publication, “Three and a Triage.” To get the whole story, visit Three and a Triage dot com. Hermès. Chanel. Gucci. They were made for you to want them. But the list doesn’t stop there. Rolex. Rolls-Royce. Harvard. Princeton. Yale. Yes, that’s right. With the cost of many universities approaching $70,000 per year, that S-Class Mercedes you’ve been drooling over seems like a downright bargain at a mere $96,000. Wait—universities can’t be luxury brands, can they? Well, if a luxury good is one where the benefits —tangible or otherwise—of owning it significantly outweigh the cost of acquiring it, then they sure can be. In ‘The Theory of the Leisure Class’ (1899), economist Thorstein Veblen established that there are goods for which there is a demand proportional to high price, a contradiction to the law of demand, which predicts decreasing demand as prices increase. Examples of these types of products include Rolls-Royce automobiles, diamonds, and designer handbags, and also describes a trend in higher education over the past two decades: competition for admission to the top schools is increasing despite increasing tuition. In his article “The Eternal Principles for Creating Luxury Brands,” Dan Herman, Ph.D., states that luxury goods “…are not designed and planned according to consumer tastes and expectations, even though they appeal and cater to sometimes-hidden deep-routed desires. A luxury brand sets its own standards and does not adhere to fashions.” This may sound familiar to anyone who has ever walked the campus of an elite college, where the preservation and promotion of very unfashionable architecture, history and tradition awaken desires for belonging in all but the most too-cool-for-school prospective students. What we observe is that schools unable to offer the prestige of the very elite are increasingly offering alluring alternatives in the form of luxury dormitories, world-class athletics facilities and dining services that rival Michelin-starred restaurants. It’s a play right out of the luxury category playbook: to “democratize” luxury and make it available to an ever-wider circle of consumers at a lower price. This so-called “masstige” approach is common in the worlds of fashion and travel, evidenced in an almost endless parade of lower priced seasonal handbags, celebrity colognes and boutique hotels. Or, the educational parallels of low-cost online learning and executive education programs. Facebook-post-worthy campus dorms, gyms and food are tailor-made to leverage the desire for what new generations of college students perceive as luxury in the hope that these associations shine a favorable light on academic quality and establish a university’s value, despite cost increases. Rock-climbing walls, Olympic-size swimming pools with skyline views, personal trainers, hydrotherapy, massage, pilates, nutrition counseling. These are features of the most luxurious and exclusive athletics clubs in the US, where well-heeled members pay up to $30,000 per year for the benefits of membership. This same list of features and more can now be found in athletics facilities on university campuses across the country. You might expect that the increased quality of dorms and athletic and dining facilities would be proportionate to the size of a university’s endowment: i.e., that the schools able to offer such luxuries are the ones best able to afford them. However, this does not seem to be true. Where there is a strong correlation, though, is between such offerings and high admission rates— schools that offer such luxuries over-index on admitting a high proportion of applicants. Among the schools with the 35 top-rated athletics facilities in the United States, the median admissions rate is 70%. And the case of luxury dorms is not dissimilar. Of the schools with the top 30-rated residential facilities in the US, the median acceptance rate is 46 percent, nearly 1-in-2 applicants admitted. The cost of staying in one of these residences? Up to $20,000 per year. But this route is only one way (an expensive way) to leverage a competitive advantage. It’s an expensive way, but a way, nonetheless. Your school may already have competitive advantages you’re not leveraging that would put you way ahead of the pack. If you cannot compete with the luxury and intangibles of the top tier, then change the conversation. Remember Thorstein Veblen and his lower-cost, nearly identical alternatives? Well, the laws of physics are the same at University of Kansas and Harvard. Economics is the same field of study at University of Illinois-Chicago and University of Chicago. When the basis of what is taught is largely the same, talk about what is different. Are 96 percent of your graduates employed within three months of graduation? Do you have a biomechanical engineering program staffed with PhDs? Does your school have a land-grant mission that appeals to students’ desires to do good? Find out what your thing is and talk about it. Create a brand that’s yours and communicate it effectively. Your school doesn’t have to be a luxury brand in order to win. The fact is that people are looking for many varying qualities of experiences, not just luxury ones. And remember that luxury comes in many highly subjective forms. Being known for performance (or ethics or mission or tenacity or any of a host of differentiators ) is predicated on “being known.” Who’s to say that students are not looking for those experiences more than luxury experiences? After all, Prada is not for everyone. For the full text of this piece, visit Three and a Triage.com. Next : Always more. Never less.